Bill is passionate about Loire wines, top quality producers none the less, which was evident at a tasting he hosted at his house. The wines largely came from his cellar making a parade of heavy hitters, cult favorites, and new discoveries. As an introduction there were bottles of sparkling wine, white wine, red wine, and dessert wine. There were sadly a number of off bottles but with a vast array to try (I missed at least one bottle) there were still some top-notch bottles. This includes the 2009 Domaine Guiberteau, Saumur Blanc Clos des Carmes Monopole as my favorite white wine. This is a tense, engaging wine which combines stone and fruit. For the reds, individual favorites include the mature 2010 Clos Rougeard, Saumur Champigny and youthful 2010 Plouzeau, Ante Phylloxera, Touraine Clos de Maulevrier Franc de Pied. I can see why Rougeard is a cult favorite, the mature flavors are infused with fat and drape over the tongue. The Plouzeau is electric and young, it should be fully open in three to five years. My favorite flight of all is a quartet of Olga Raffault, Chinon Les Picasses: 1990, 1989, 1985, and 1979. What a unique opportunity! What I like is the consistent theme of fruit, without any green pepper notes, and complexity from earthy flavors. The 1989 offers so much more than the 1990. The original release 1985 is a treat with more color and texture. It is easy to connect with this bottle because it is not so squeaky clean. The 1979 is elegant and autumnal. It is the sort of wine to drink at lunch or by oneself reading a book next to a fire. A trio of Huet Vouvray dessert wines includes a maturing 1985 Domaine Huet, Vouvray Clos du Bourg Moelleux. The nose is an interesting mix of apples and seaside with a heavily textured mouth. Our bottle of 1989 Domaine Huet,Vouvray Cuvee Constance also has a killer nose but it is dialed down tight in the mouth. The drier 1989 Domaine Huet, Vouvray Clos du Bourg Moelleux Premiere Trie is also young. Perhaps it is the state of the 1989 vintage. All three wines smell great so who knows!? Thanks again to Bill for hosting. Without his generosity I would still be the rare soul who had never tasted the Loire greats of Dagueneau, Clos Rougeard, and others. Imported by The Rare Wine Co. Alcohol 12.5%. There is a fine bubble grip with slightly round flavors of light yellow fruit and chalk. It is minerally and a touch earthy. *** Now – 2020. Imported by Dionysos Imports. Alcohol 12%. A little gamey on the nose. In the mouth are finer, more aggressive bubbles. The flavors are oxidative and the finish is sour. Underperforming? * Drink up. Imported by Paterno Imports. Alcohol 13.5%. A darker gold-copper color. The heavier nose makes way to a focus start then short and weird flavors. Bad bottle. Not Rated. Imported by Connoisseur Wines. Alcohol 12.5%. There are fine, ripe chalky flavors, texture, and a weighty middle which builds towards the finish. It wraps up with a vintage perfume finish. ***(*) Now – 2023. A Becky Wasserman Selection imported by Frederick Wildman. Alcohol 12%. A flinty wine with tart yellow fruit and a vein of acidity which makes for attractive tension. My favorite. **** Now – 2027. An aromatic nose with a touch of apricot and cheese. Different. It is simpler in the mouth, tight with a vein of acidity. It remains tight when warm. Drinkable but not the best bottle. ** Now. Imported by Kermit Lynch. Alcohol 12%. The color is a little purple. A finely scented nose of clean green pepper. In the mouth this is a fine, focused wine with dry and tight flavors. With air it remains a lighter weighted wine but becomes a touch creamy. Good citric grip. ***(*) Now – 2027. Alcohol 12.5%. There is a deeper core of color with hints of brick. Initial aromas are of old-school perfume but then nail polish comes out. Not right. Not Rated. Alcohol 12.5%. There are darker berries on the perfumed somewhat alcoholic nose. The mouth filling wine is luxurious with a creamy edge and zippy acidity. Certainly a big wine but ultimately simple compared to the basic Saumur Champigny. *** Now – 2020. Alcohol 12.5%. A good, mature nose. The flavors drape on the tongue with a cranberry-grape grip. The core of berry flavors remains focus but takes on a coating of fat. My favorite of the flight. **** Now – 2023. Imported by Fruits of the Vines. Alcohol 12.5%. A grapey color. The nose is tight with berried perfume. In the mouth the wine keeps right focus with fine, tannic, and young flavors. There is a green pepper note and salivating acidity. Needs time. *** 2020 – 2027. Imported by Weygant-Metzler. Alcohol 13%. The nose tilts towards the richer side. There is good flavor, a bit citric, and electric acidity. It sports good weight, an attractive sweaty note, and will clearly age. **** Now – 2030. Slightly stinky on the nose yet good. More engaging in the mouth but overall a bad bottle! Not Rated. Much darker in color. An harmonious wine. It is brighter in the mouth than the nose indicates. With air, ripe hints of flavor come out yet the wine maintains focus. Clearly Bordeaux. *** Now – 2023. Imported by Louis/Dressner Selections. Library release. This is tart with red and black fruit flavors. It ultimately reveals less fruit intensity. It sports a touch of animale and a hint of earth which adds interest. Overall this is a tangy wine. ** Now – 2023. Imported by Louis/Dressner Selections. Library release. There is more dense fruit compared to the 1990. It is clean, dense, and slightly earthy with cinnamon spices in the aftertaste. Watering acidity. This will clearly go on for ages. **** Now – 2032. Imported by Louis/Dressner Selections. Original release. Alcohol 12.5%. This is good and much different than the 1989 and 1990. There are impressions of more texture making the wine feel substantive. The wine is earthy with a wood stem note, and vintage perfume. Drinking well. **** Now – 2025. Imported by Louis/Dressner Selections. Library release. In fine form. This is tangy, lighter than the others with a clean cut. There is a fair amount of acidity. Elegant and autumnal. ***(*) Now – 2022. Imported by Robert Chadderdon Selections. A dark, apricot amber. The nose smells of tart apples and the sea side, quite nice. In the mouth there is up front texture back the apple orchard flavors. The citric acidity is prominent but the wine is weighty. A fair amount of mouth feel. **** Now – 2037. Imported by Envoyer Imports. A golden amber color. The nose offers up electric aromas. In the mouth there is clearly more residual sugar in this dense wine with flavors of dried fruit. It remains tight so cellar it. **** 2023 – 2043. Imported by Elenteny Imports. Alcohol 13%. A golden amber color. Apple orchard on the nose with acidity driven, drier flavors in the mouth. It is weighty, clean, and sports acidity. A baby! ***(*) 2023 – 2043. The time I spend on research continues unabated but I am still tasting wine every day. Here is a group of tasting notes from the most recently consumed French wines. These wines are available at MacArthur Beverages. Imported by Simon N’ Cellars. This wine is a blend of 80% Syrah and 20% Grenache. The former was aged for 18 months in stainless steel tanks and the later for 18 months in oak barrels. Alcohol 14.5%. 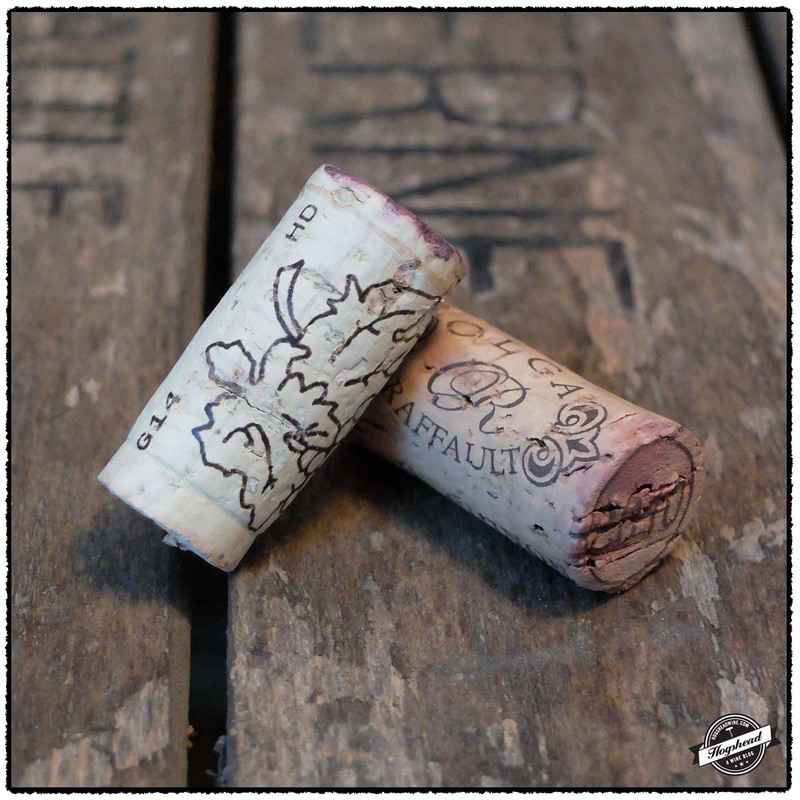 There is a complex, meaty, black fruited nose which takes on a tobacco and smoke hint. In the mouth are some bitter black fruit, coarser, spaced-out tannins, and that ethereal flavor consistent with this cuvee. There is the meaty Syrah component but the wine tightens up with air. Might rate higher with age. *** 2018-2023. Imported by G & B Importers. This wine is a blend of 40% Grenache, 20% Syrah, 20% Carignan, and 20% Mourvedre. Alcohol 14.5%. The nose sports good perfume, violets, and pepper hints. In the mouth it is still a bit tight with focused blue and black fruit. There is a dense, citrus, and powdery flavored middle. It softens a touch with an inky finish and some fine pencil notes. This still needs a year to relax the drying tannins. *** 2017-2020. Imported by Louis/Dressner. Alcohol 13%. The floral, leaning towards vegetal nose makes way to black fruit flavors in the mouth. Saline flavors give a sense of weight but tart, vegetal black fruit comes out. This salty wine has edge acidity and is more for short term drinking. ** Now – 2018. Imported by Williams Corner Wine. Alcohol 13%. There are gentle, attractive flavors of violets and orange flavored fruit. The dry structure is apparent from the start as is the moderately watery and juicy acidity which carries through the dry flavors of graphite in the finish. The wine does come across with some vibrancy and with air shows that it needs time to develop. ***(*) 2018-2023. Imported by Kermit Lynch. Alcohol 13.5%. The nose is subtle yet bright. The tart red fruited entry does build weight into the linear, citric acidity infused middle. There is a touch of ethereal, ripe powdery flavors but that tart start never leaves one’s mind. It finishes with salivating acidity and a ripe hint of citric fruit and tannins left on the gum. **(*) 2017-2020. A wide variety of French wines. This post features a number of French wines which we have recently drunk. My favorite pair are the 2013 Ola Raffault, Les Barnabes, Chinon and the 2011 Domaine Cheveau, Or Rouge, Beaujolais Villages. 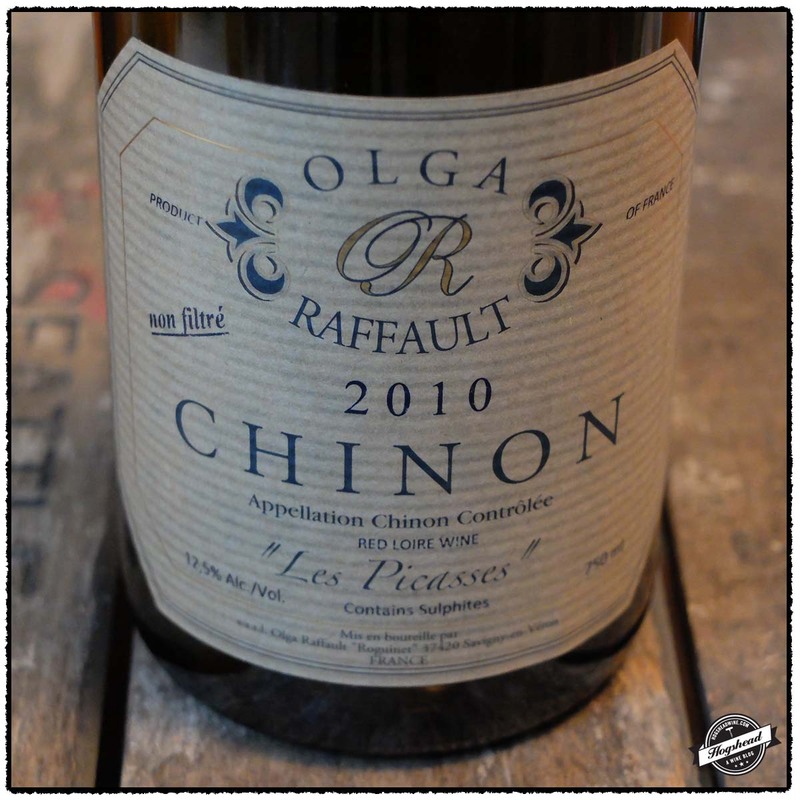 The Raffault is a finely scented, fresh, satisfying herbaceous wine from Chinon. I kept finding myself returning to my glass. The Cheveau has benefited from a few years of age but still retains lovely cool, dense flavors. The 2013 Alleno & Chapoutier, Cotes du Rhone is also good with its minerally, black flavors but it will greatly benefit from short-term aging. Of the wines for drinking now the 2014 Chateau Coupe Roses, La Bastide, Minervois offers a tart, red grapefruit profile whereas the 2011 Abbaye Sylva Plana, Les Novices, Faugeres offers forward drinking flavors of raspberry candy. These wines were purchased at MacArthur Beverages. Imported by Vintage 59. This wine is a blend of old-vine Carignan and Grenache. Alcohol 13%. The nose was of raspberry candy. In the mouth the tart red and black fruit had a slight hint of red grapefruit. In general there was a beam of tart and ripe fruit, minimal structure which was integrated, and spices in the end. The tart aspects matched with the developing bitters flavor. ** Now – 2017. Imported by Louis/Dressner. This wine is 100% Gamay. Alcohol. Tasted over a few days the lovely nose eventually took on graphite notes. This light, bright wine was pure in nature with a lively start, building dry weight, and an ethereal aftertaste. It had slightly watering acidity and a dry, structured middle. The dry flavors existed over a layer of stone and mineral. I suspect this might open up in a year. It is best to cellar it instead of giving it extended decant time because it developed a Pilsner beer note. **(*) 2017-2019. Imported by Classic Wines. This wine is mostly Syrah that was fermented and aged on concrete tanks. Alcohol 14.5%. The minerally, black fruit flavors left some texture on the gums and juicy acidity on the tongue. With controlled flavors the gentle ripe spices took on some wood notes and persisted through the aftertaste. This needs short-term aging. *** 2017-2020. Imported by Kermit Lynch. This wine is a blend of 50% Syrah, 40% Grenache, and 10% Mourvedre. Alcohol 13.5%. The nose is attractive with delicate floral and graphite aromas. In the mouth the wine has very high-toned, citric red fruit. With extended air it seemed to deepen up a bit and not fall into Pilsner yeast land. ** Now – 2017. Imported by Louis/Dressner. This wine is 100% Cabernet Franc. Alcohol 12.5%. This fresh, scented wine is attractively herbaceous. The flavors continue with herbaceous red and black fruit flavors which are dry. This flavorful wine is mouthfilling yet medium-bodied with an almost gentle finish. With air sweet dried herbs come out along with very, very fine tannins. The acidity is indistinguishably integrated. *** Now – 2018. A Franck’s Signature Wines imported by Promex Wines. This wine is a blend of 55% Cinsault, 30% Grenache, 10% Syrah, and 5% Mourvedre. Alcohol 14%. The forward flavors of raspberry candy are rounded with mouthfilling weight. With air it takes on some darker notes. Very much a wine to drink right now. ** Now – 2017. Imported by Rosenthal. 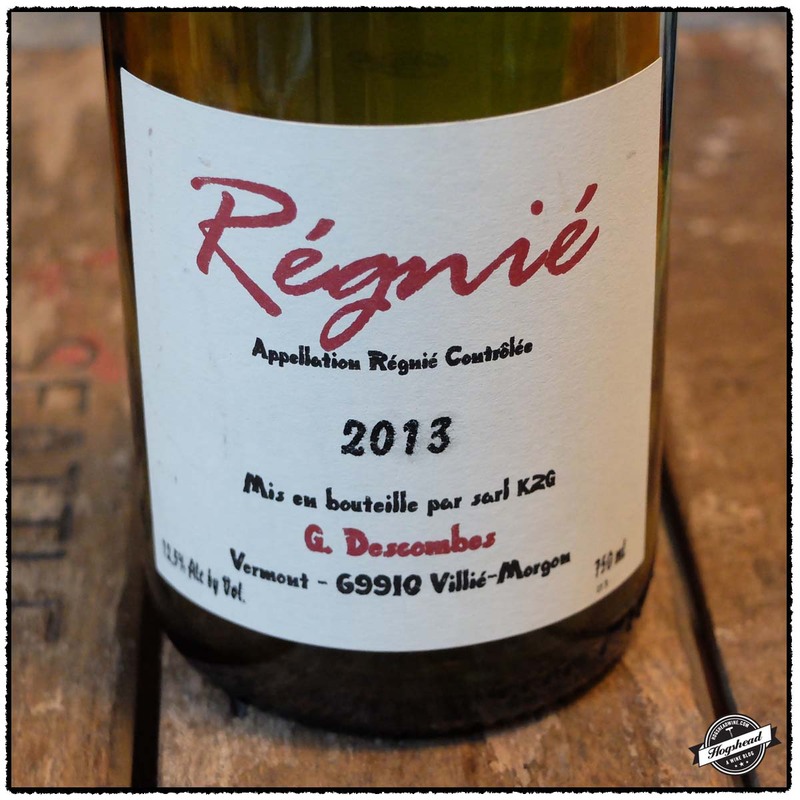 This wine is 100% Gamay sourced from vines averaging 50 years of age. Alcohol 13%. The nose remained subtle but in the mouth were cool, dense fruit with watery acidity, a fresh middle, and tannins noticeable in the aftertaste. With air the firm red fruits took on additional flavors of ripe black fruit. The wine remained a little puckering on the sides of the tongue. *** Now – 2020.